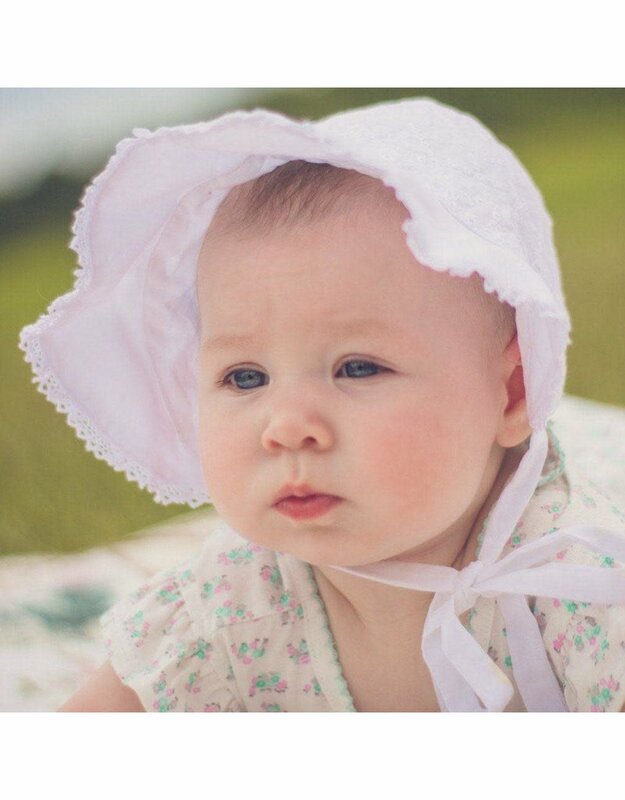 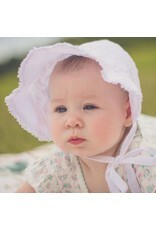 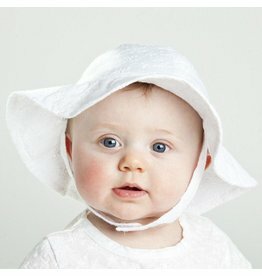 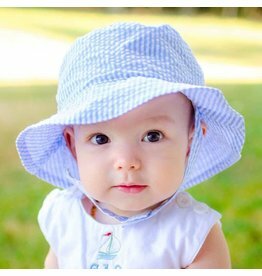 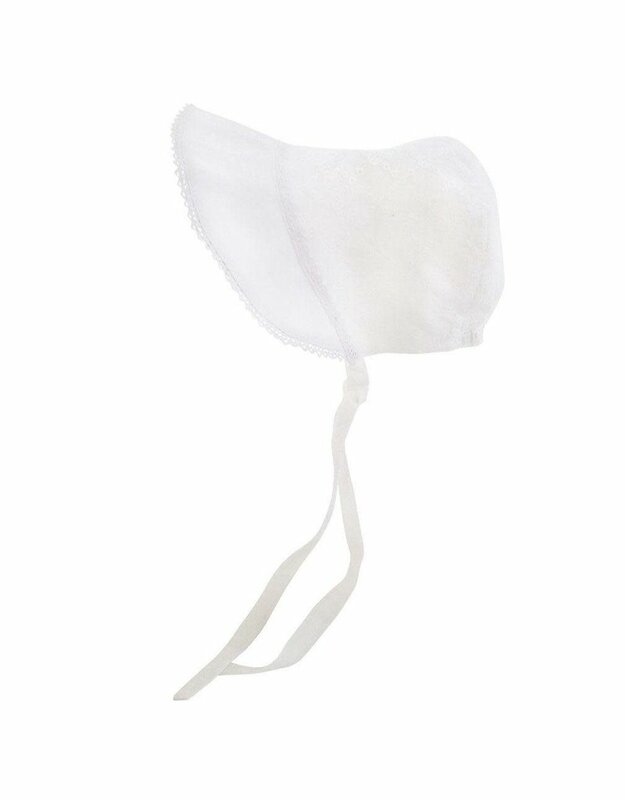 This classic white bonnet in a bow embroidered eyelet fabric has a flared brim to help shade little faces from the sun. 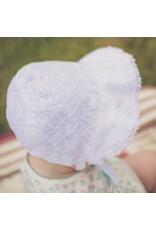 Elastic at back of neck adds a bit of fit. 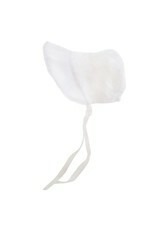 Ties closed to keep bonnet in place. 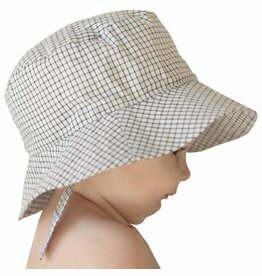 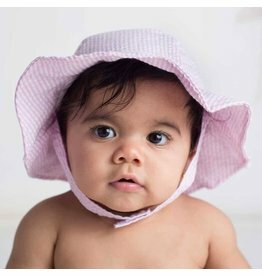 Perfect for the beach, and everyday wear, this lightweight hat is functional and cute. 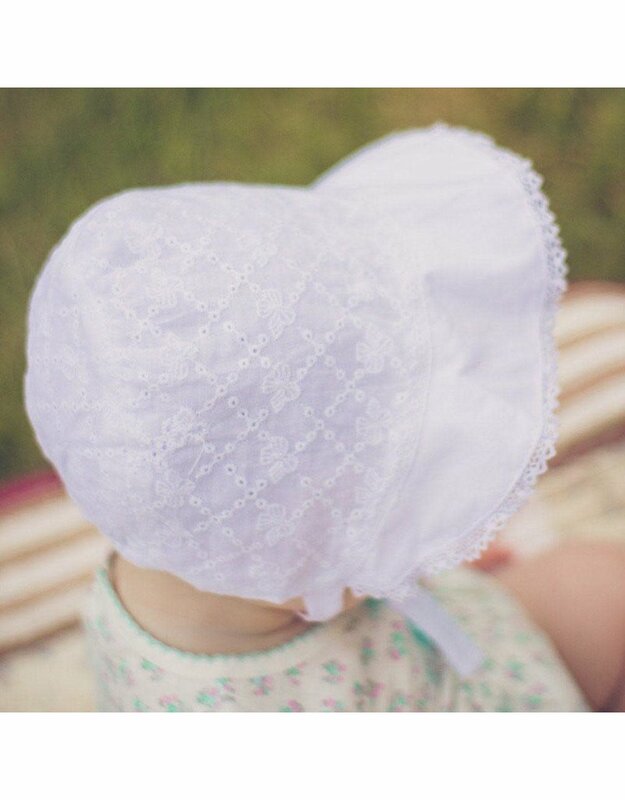 Made in white eyelet embroidered with hearts.